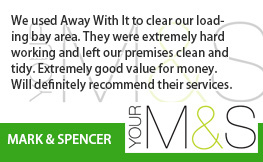 Looking for quick, efficient and affordable commercial waste removal in Moorgate EC2 and surrounding area? Well you’ve certainly come to the right place. 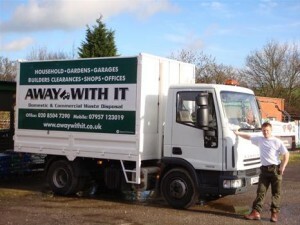 Away With It has been supplying commercial waste removal Moorgate businesses trust for over a decade. 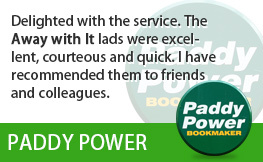 They love our fast, flexible service and low prices. And you will too! 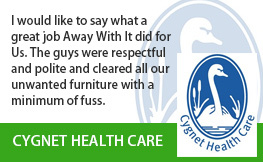 We’re dedicated to providing the best possible service at the best possible price to each and every one of our business customers. And that’s our promise to you. 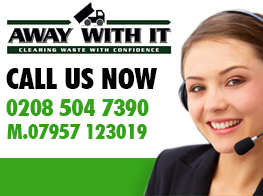 We are experienced in all types of commercial waste removal providing a fast, efficient service which makes a big hole in your business waste without causing too much damage to your budget. We pride ourselves on providing the best possible service with a tailor made package to suit the needs of each business. 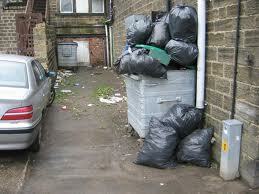 We can remove all types of commercial waste in the Moorgate and Liverpool Street area. And whether you need a regular collection or simply want to book our same day wait and load service on a one-off basis we have the perfect solution for you. Our contracted clients receive incentives and discounts for an even more affordable service but we are equally happy to work with customers who prefer to use our on-demand services. It doesn’t matter whether you need an individual item removed in a hurry or have multiple loads on a daily, weekly or monthly basis. We can handle them all. We are always there when you need us – 7am to 11.30pm seven days a week. If you need early morning, late night or weekend pick ups that’s not a problem for us. Same day services available for those last minute and emergency jobs. If you need something shifting quickly from the EC2 area then you know who to call. 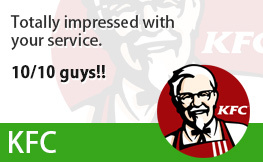 They’ll be more than happy to answer questions and recommend the best package for your needs. 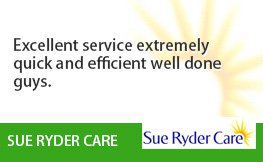 They will also provide a fully inclusive, no obligation quote free of charge. 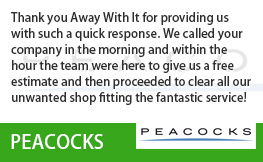 Alternatively, you can request a quote using our handy online form and we will get back to you the same day.